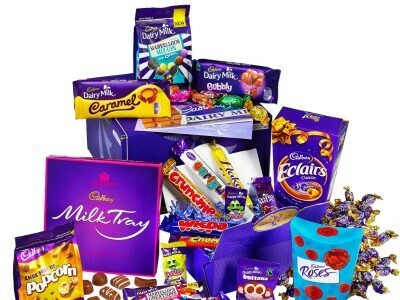 We have a brand new competition for you where you can Win a Cadbury Hamper! Hurry, this competition will close on the 5th August. The hamper is so big you'll have trouble coming up with excuses as to why you can't share with your family and friends! If you're a lucky winner you can look forward to yummy Eclairs, Crunchie Rocks, Bubbly Bar, Dairy Milk Caramel and loads more. Good luck - enter now to Win a Cadbury Hamper!